You're coming Monday night, right? The first NYC BQT in more than a month, back at the delightful Le Poisson Rouge. And we got a honey of a prize stash for this edition, including the $300 jackpot, and still more tix to Fuerza Bruta and Live In Theater's interactive theatrical spectaculars. And this just in: Courtesy of FOQ (friend of the quiz) Matt Wasowski, we're giving away two tickets to the fourth annual Nerd Nite Nerdtacular, happening Friday, September 9. "Wait," you ask. "I thought the Big Quiz Thing was Nerd Nite." Well, perhaps, if you lowercase Nerd and revert to the more less exciting spelling of night. But the actual Nerd Nite is a multicity lecture series focusing on all things intriguing and smarty-pants; in other words, you quiz fans would (or already do) love it. 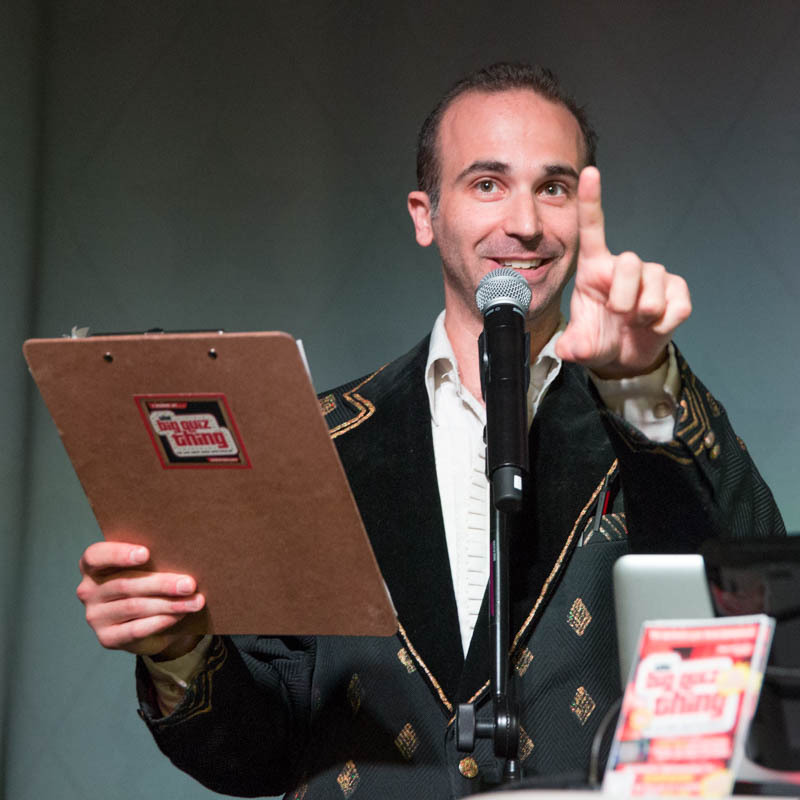 As a matter of fact, last year, your esteemed quizmaster gave his own lecture at a Nerd Nite last year ("Hail to the Obscure: Forgotten Vice Presidents of the United States"), and the fun I had was indescribable. And on September 9, they're doing their fourth annual Nerdtacular, to kick off their latest season, at Galapagos Art Space (a beautifully wacky venue in Dumbo): lectures plus music, plus acrobats (really), plus other surprises. Also, it's a serious pickup scene, no lie.